We understand that keys get lost. 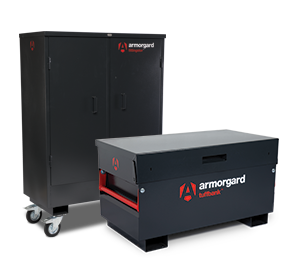 For added peace of mind, and to make life easier for our customers, we provide a comprehensive key replacement service for all Armorgard products up to the age of 5 years. To protect your property and prevent would-be thieves from getting their hands on your tools, we ONLY send out replacement keys via the distributor you bought your Armorgard product from. Contact your distributor NOW with your product key number and they will arrange for a key to be sent directly to you, or for you to pick it up from them. How do you find your key number? You can find your key number on the metal plate on the side of your product, or stamped around the key hole on older products. Your key number will start with a letter i.e. “V” or “Z” followed by four or more numbers. Make a note of it and contact your distributor to take advantage of our fast and inexpensive key replacement service. If you have not registered your Armorgard product please fill out the form on our Product Registration page.